There are several ways to support the QiC Programme, and supporters have the opportunity to help develop the programme alongside NHS, charities and patient group experts. "ABCD is pleased for its continual and ongoing association with QiC Diabetes. ABCD believes that this is an excellent opportunity for diabetes teams to showcase their innovations and to be recognised for their efforts to improve the quality of care for people with diabetes." "The Association of Children’s Diabetes Clinicians (ACDC) are delighted to support the National Quality in Care Diabetes awards programme that celebrate innovation and excellence in improving the quality of diabetes care. 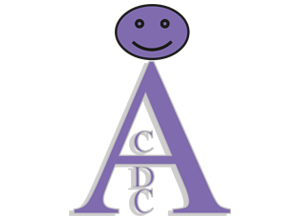 ACDC remains committed to improving the care of diabetes in children and young people and aim to share good practice, promote education and develop national guidelines." "QiC Diabetes provides a collaborative environment for all interested sectors in which to share information and innovation in care delivery. We are delighted to support the QiC Diabetes programme and share in this recognition of achievement of inspiring and dedicated people." "The DSN Forum UK team are proud to be supporting the QiC awards which showcases and highlights collaborative teamwork, as well as rewarding pioneering practice in diabetes management, education and services for people living with diabetes. We hope to encourage and be a voice for the DSNs in the UK who are at the forefront of amazing projects like this advancing healthcare every day." "Diabetes UK is once again delighted to collaborate on these important awards. They highlight and promote the exciting and innovative approaches that are being implemented around the UK to improve the care of people with diabetes." "We are delighted to be supporting the QiC Diabetes Awards programme as it brings together many organisations and industry who feel passionately about diabetes care, it reflects our underpinning philosophy of sharing ideas and best practice and it provides a hugely positive boost for all involved and ultimately our patients." JDRF is the leading global charity dedicated to improving the lives of those with or affected by type 1 diabetes. Our ultimate focus is to end type 1 diabetes. "The National Children and Young People’s Diabetes Network is delighted to support the Quality in Care Diabetes Awards as they are an excellent way of encouraging and incentivising clinical teams to test out innovative practice locally and then share their success with other like-minded teams across the country." "Achieving quality care in the management of people with diabetes within the community setting is the principle aim of PCDS . We are absolutely delighted to support the QiC programme for Diabetes which highlights examples of good care and how collaboration between organisations and groups can work and be rewarded." "We are proud to support the QiC awards as they encourage the sharing of novel and innovative work in diabetes care to a wide audience." "We are delighted to be associated with the QiC Diabetes programme that recognises the innovation and aspiration for excellence in providing care for people with diabetes."